If you are the lucky owner of a swimming pool, then you undoubtedly enjoy many delightful days dipping in the cool water. 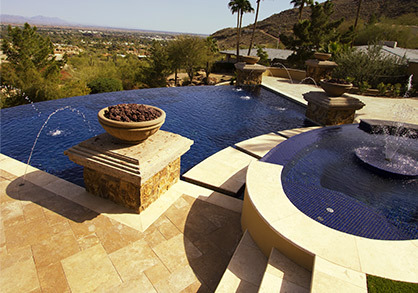 Here in Arizona, owning a swimming pool is almost a necessity! With our hot summer days, having a place to cool down and enjoy the outdoors is a wonderful thing. As a pool owner, you probably also realize the importance of keeping the pool clean. No one wants to swim in murky waters or float among debris. 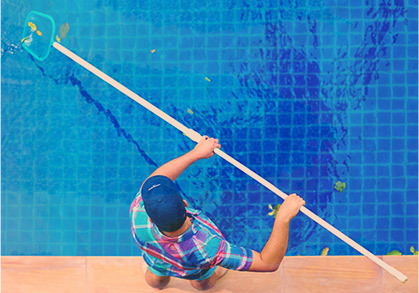 If you want to ensure your pool stays clean, check out these four quick tips that will help contribute to the cleanliness of the water. Remember, you can schedule full pool cleaning services in Goodyear, Glendale, and Litchfield Park with our team at any time. A lot of the junk that winds up in your swimming pool is coming from the yard around it. If your backyard is littered with branches, leaves, and other debris that can easily be picked up by the wind, spend some time cleaning everything up. Choose a Saturday and get the whole family on board. Yardwork might not be your favorite chore, but a clean backyard will help keep a cleaner swimming pool. Another simple but highly effective method for keeping your pool cleaner is to cover it every night. Investing in a pool cover is a great way to cut down on maintenance costs. Rather than cleaning out your pool’s filter every day due to chunks of debris, you can simply cover up the pool when it isn’t in use. The grime in your pool doesn’t just come from your yard and any nearby trees. 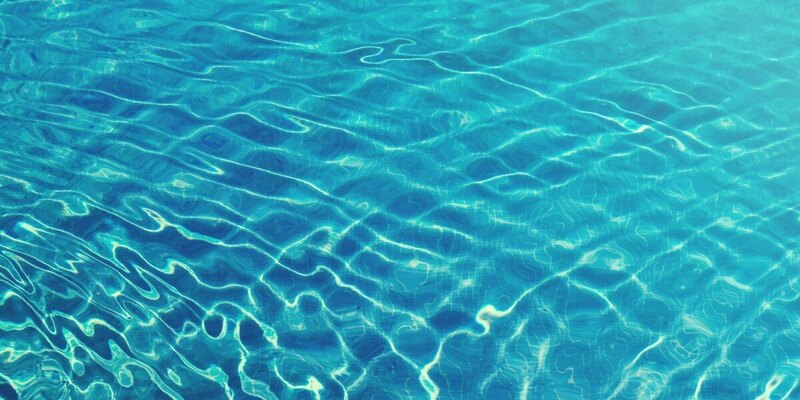 A lot of the grime in your pool’s water is due to what you bring into the pool on your body. The best way to keep the water clean and the chemicals balanced is to take a quick shower before you get into the water. Rinsing off the day’s grime can prevent it from entering your pool’s waters. Not only that, but also keep in mind that if you are walking through your yard barefoot and then entering the swimming pool, you are bringing a lot of dirt into the water that way as well. Try to wear shoes up to the moment you are entering your pool to prevent your feet from carrying debris into the water. 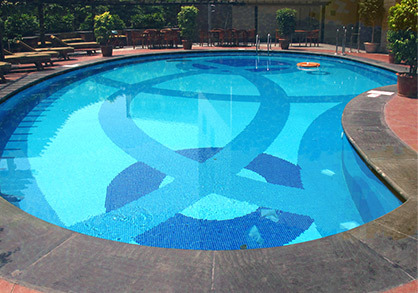 Lastly, invest in ongoing pool cleaning services to keep the water pristine. No matter how careful you are, dirt, debris, and grime is going to get into your pool. By hiring a pool cleaning company to visit your pool on a frequent schedule, you can make sure the water stays clear and that it remains safe for you and your family to swim in. Here at Universal Pool Service, we offer ongoing pool cleaning services in Goodyear, Glendale, and Litchfield Park. If you are looking pool cleaners you can trust, contact our team today. We will be happy to assist you in keeping your pool beautiful and pristine.